The Pioneer Woman 20-Piece Linen Dinnerware Set Just $30! Down From $60! Shipped! 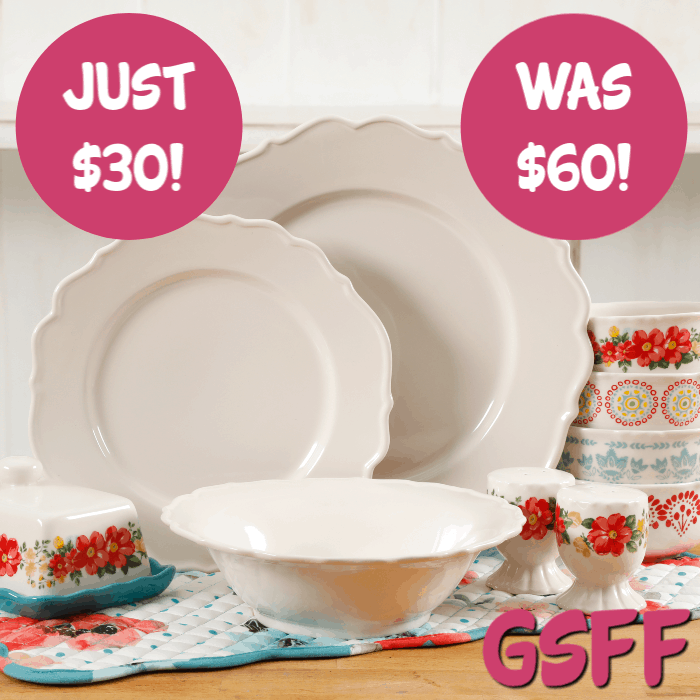 You are here: Home / Great Deals / The Pioneer Woman 20-Piece Linen Dinnerware Set Just $30! Down From $60! Shipped! The Pioneer Woman 20-Piece Linen Dinnerware Set Just $30! Down From $60! FREE Shipping! Head over to Walmart to get The Pioneer Woman 20-Piece Linen Dinnerware Set for just $29.99, down from $59.99, PLUS FREE shipping! Make your meals memorable and elegantly simple with these dinnerware dishes. The Pioneer Woman Vintage Ruffle 20-Piece Linen Dinnerware Set The Pioneer Woman 20-Piece Vintage Ruffle Dinnerware Set is composed of durable stoneware that is dishwasher- and microwave-safe for convenient prep and cleanup. The vintage ruffle dinnerware set includes four dinner plates, four salad plates, four bowls, four berry bowls, one butter dish and a set of salt and pepper shaker. Perfect for family meals, small dinner gatherings or as an add-on to your existing dinnerware collection. Microwave-safe and dishwasher-safe for convenient prep and cleanup.